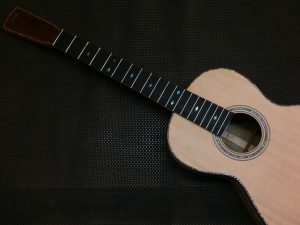 It’s time to take on the new uke. 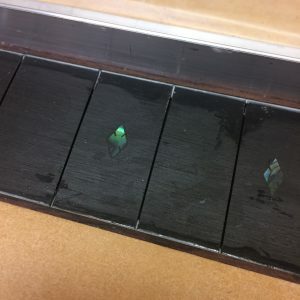 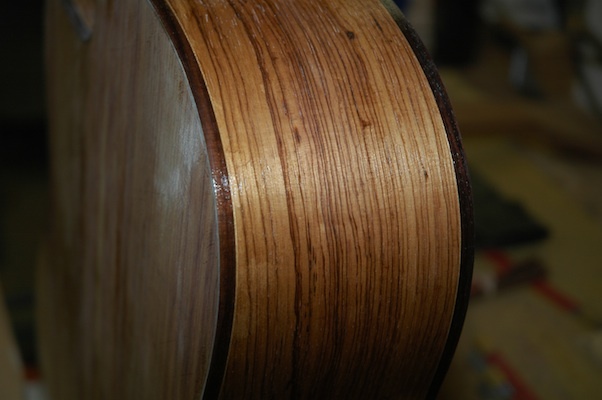 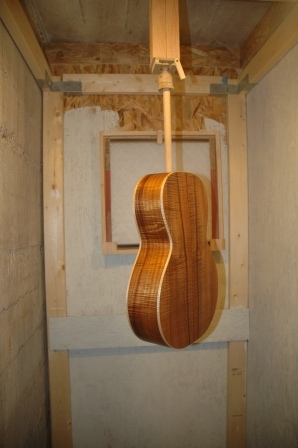 The first uke is curing, and will be completed in about two weeks. 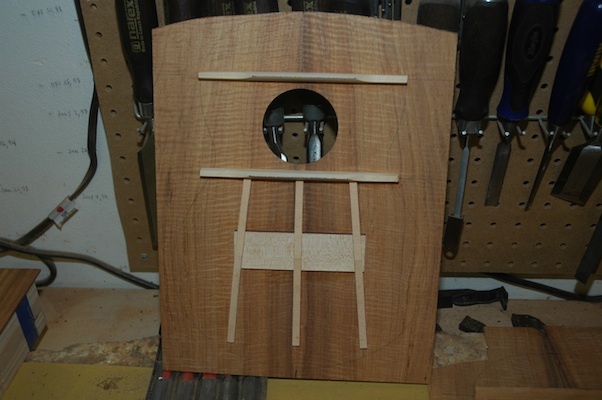 I’ve blocked up the neck, and sketched in the profile, taper, and heel cutouts. 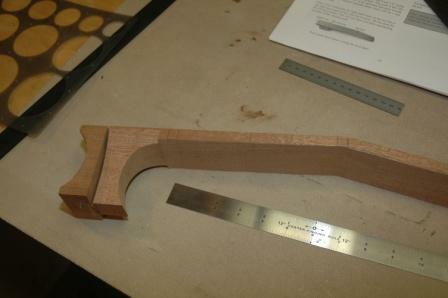 This pic shows the cutouts for the side insertion and the heel shaped with a nibbling jig on the table saw. 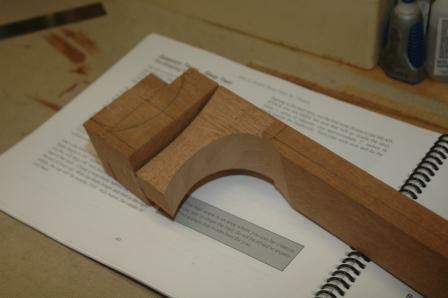 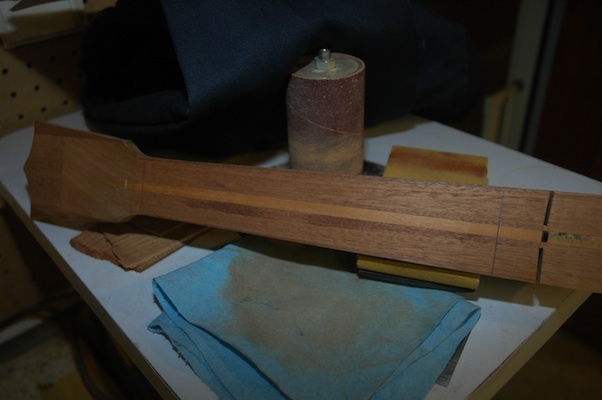 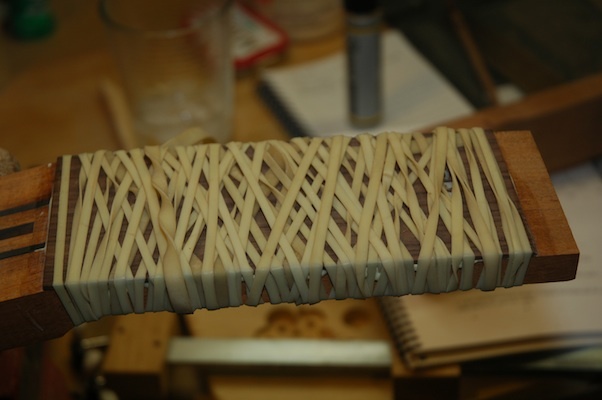 The heel block portion which is inside the uke has been shaped and trimmed. 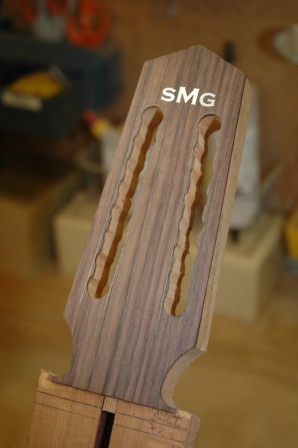 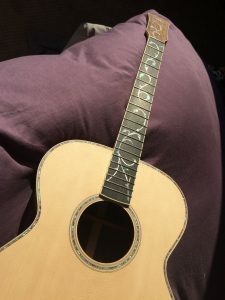 The headstock and neck have been trimmed to approximate thickness. 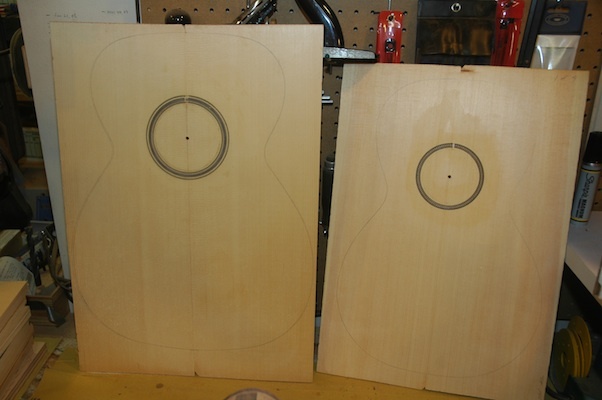 Next step will be to taper. 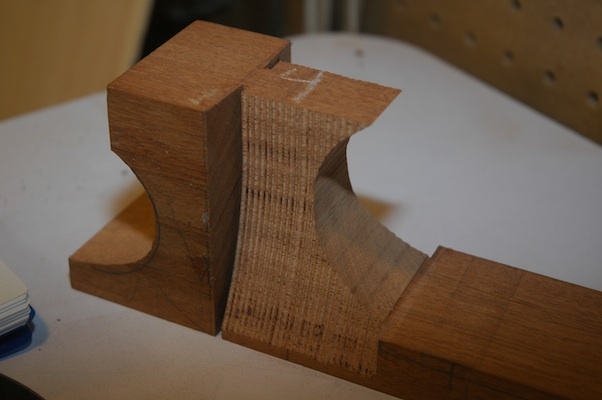 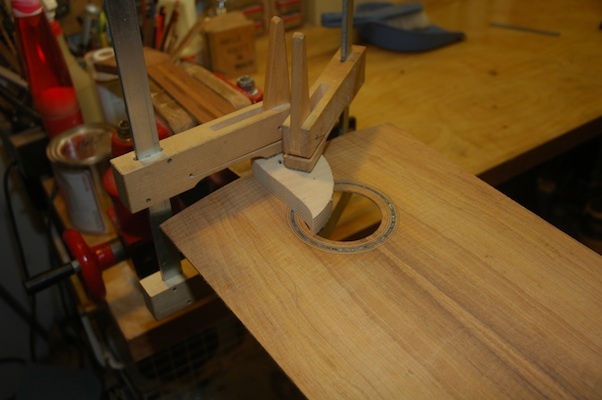 The heel profile and neck thickness have been cut using a band saw. 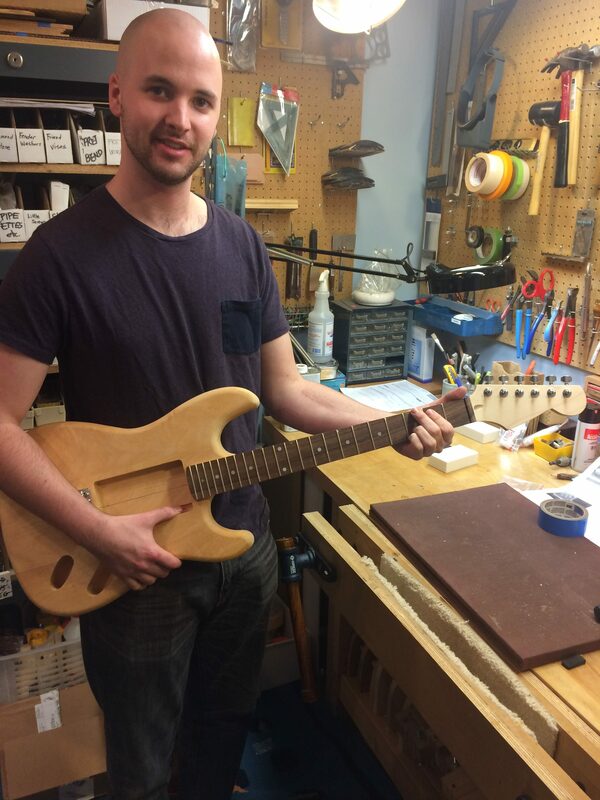 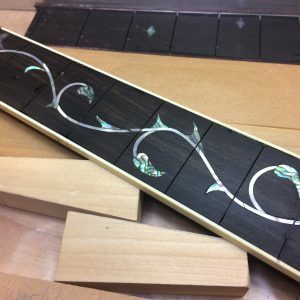 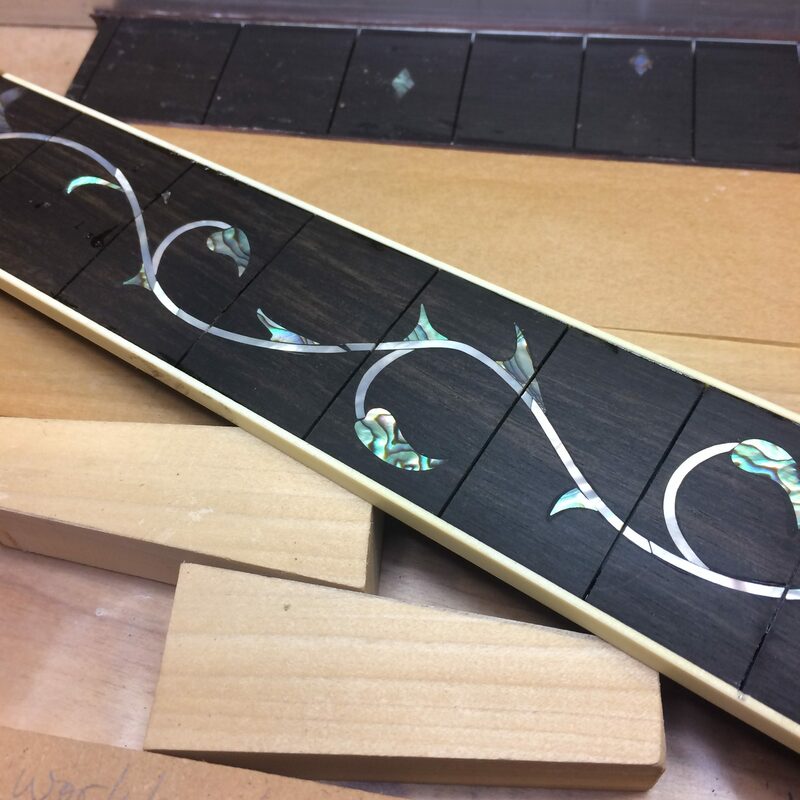 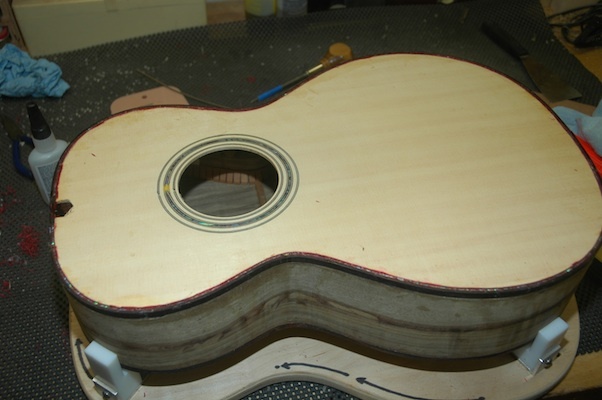 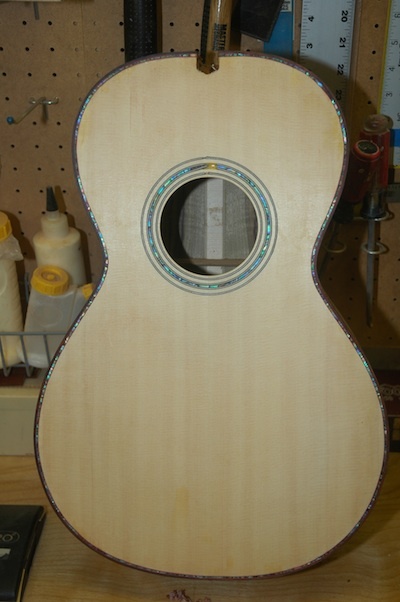 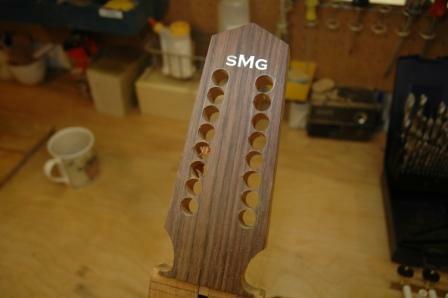 Next, a slot will be cut at the 14th fret for the sides to be inserted into. 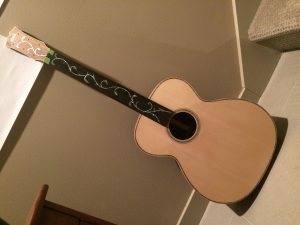 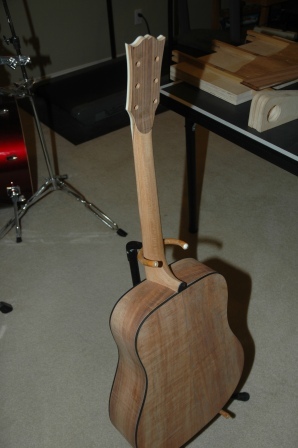 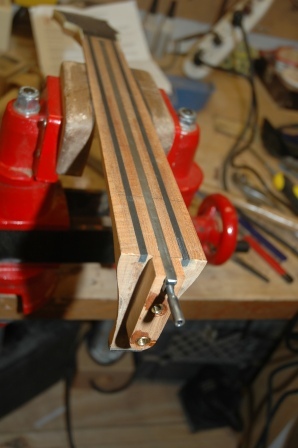 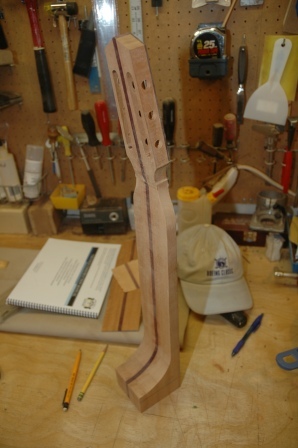 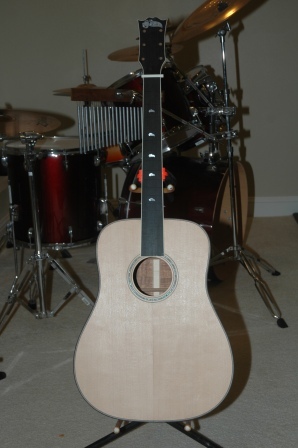 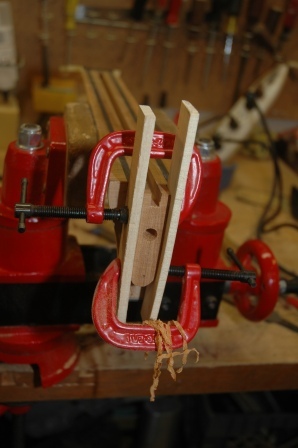 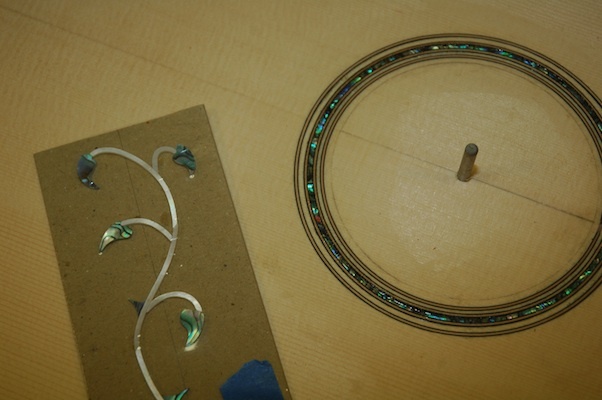 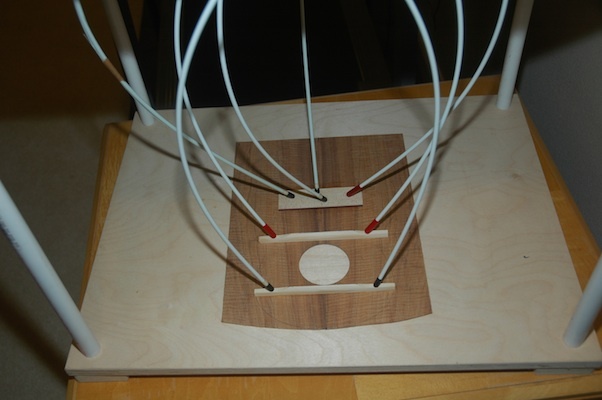 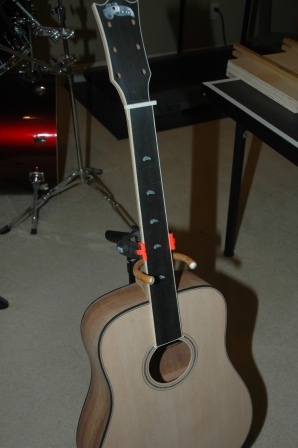 Then, the neck will be tapered to dimensions of a steel string neck profile.